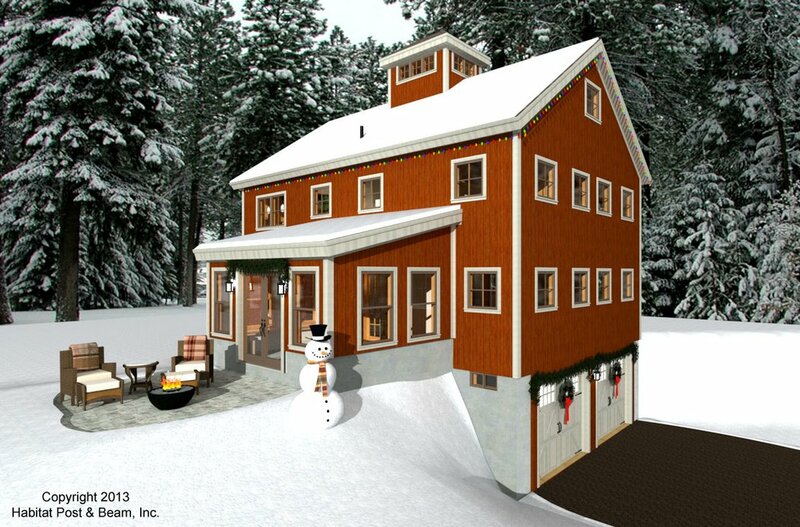 This barn-inspired, multi-level home with a cupola is sketched to be decked out for the holidays. Just under 2300 sq. 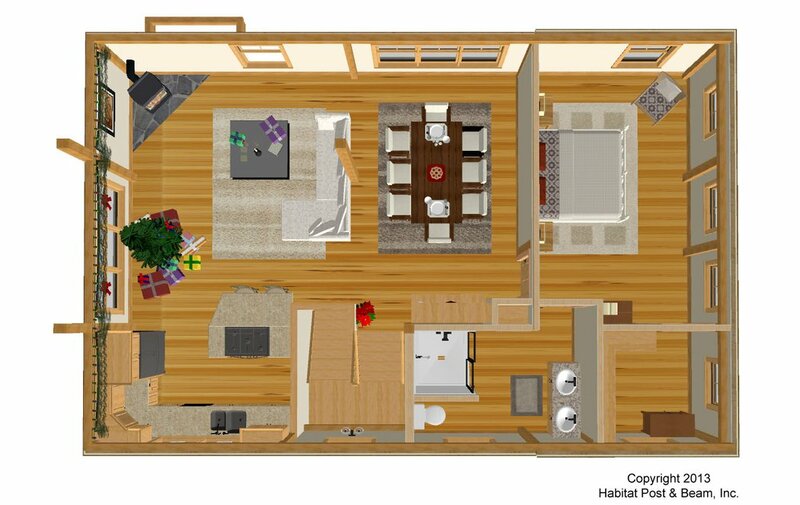 ft. of living area (along with added basement/garage and loft storage space), this is a two-bedroom, two-bath structure designed with the hobbyist in mind. 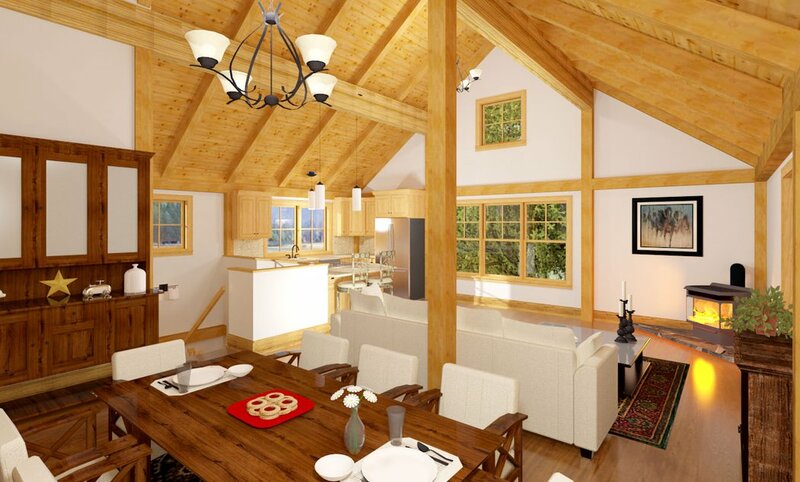 The main level has a large workshop space and a bedroom, bath, and sun room. 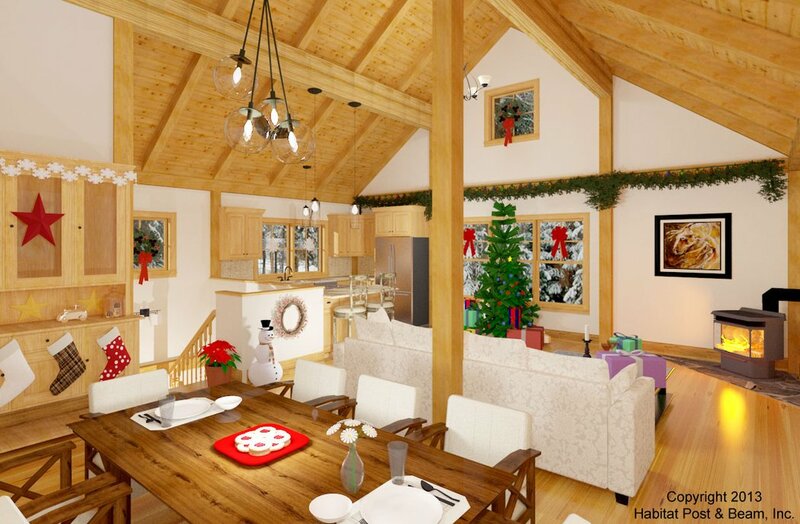 Upstairs is the living, dining and kitchen, along with a master bedroom suite. 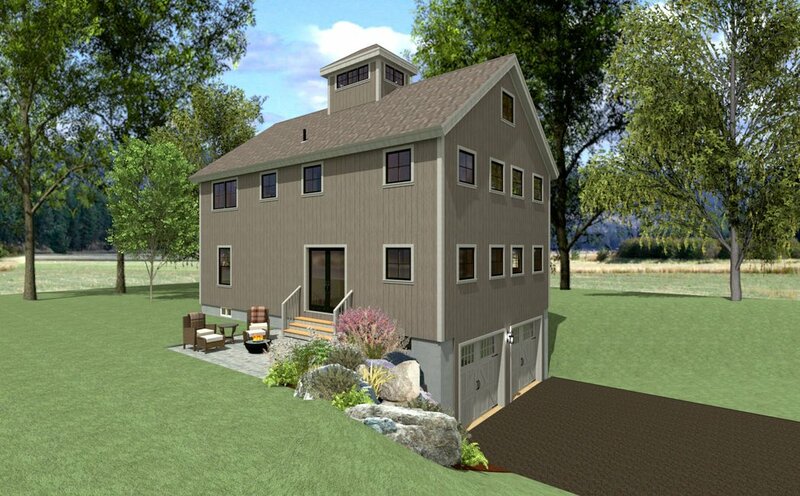 Above the second level is a third floor storage loft with a view to the living space below, topped with a cupola. The basement level is a two-car, drive-under garage with utility and storage space. Package Price: $201,500 as specified below (from $166,500 to $203,500 depending on framing options). The standard price includes our Full Exposure Wall System, Plaster and Beam or Beamed Mid-Floor System (same package price) and our Beamed Roof System. The walkout garage is not included in the above pricing.